Justin Bieber......yeah my three year old is begging Santa for a Justin Bieber singing doll.....well it’s more a Barbie than a doll in my opinion, but that’s what it’s listed as. When shopping last night I somehow managed to convince my husband to purchase this doll. Twenty-five dollars later the doll was in the car.....ok it was more like $150 later because you know you can’t go to Walmart and spend under a hundred. This morning she was letting Jingles, our Elf know that she wanted a Justin Bieber doll that sings “Baby”and to please let Santa know. OHHHH POO! Yep POO....the one I bought did not sing “Baby” but sang “Somebody to Love”. Now all you parents out there know this is where you PANIC.....that’s right you PANIC and frantically call every store in town and out of town to find this doll because your 3 yr old has major Bieber fever. I could have saved myself the hassle and paid $65 for it on Amazon, but instead I’m driving to Target an HOUR away to pick one up......they have three left. No amount of bribing helped in having them hold one for me or would allow me to pay for it over the phone. So here we are in the car driving the hour drive to Target. After all I need to get her the right Justin Beiber doll. With the Christmas season so hectic there’s hardly time for anything. No worries, I still made you some cookies. Once again I opt for SIMPLE.....hey I had to, we’re out looking for Justin Bieber.....much harder than finding WALDO. And I must add that when we arrived at Target, they never had any and never did have them in the store. Geez don't you just love it when a store says they carry something that they don't. spend $65 and hope it arrives on time.....man decisions, decisions...oh how I hate decisions. How's everyone else's Christmas shopping coming along? I will so check my local Target and see if they have the right Bieber doll. I can let you know tomorrow. :) I'm thankful for boys after reading this. I'll let you know how it goes. Keep the doll you already have and give it to your daughter. Come Christmas morning she won't care what song it sings, she'll only care that she has a Justin Bieber doll. 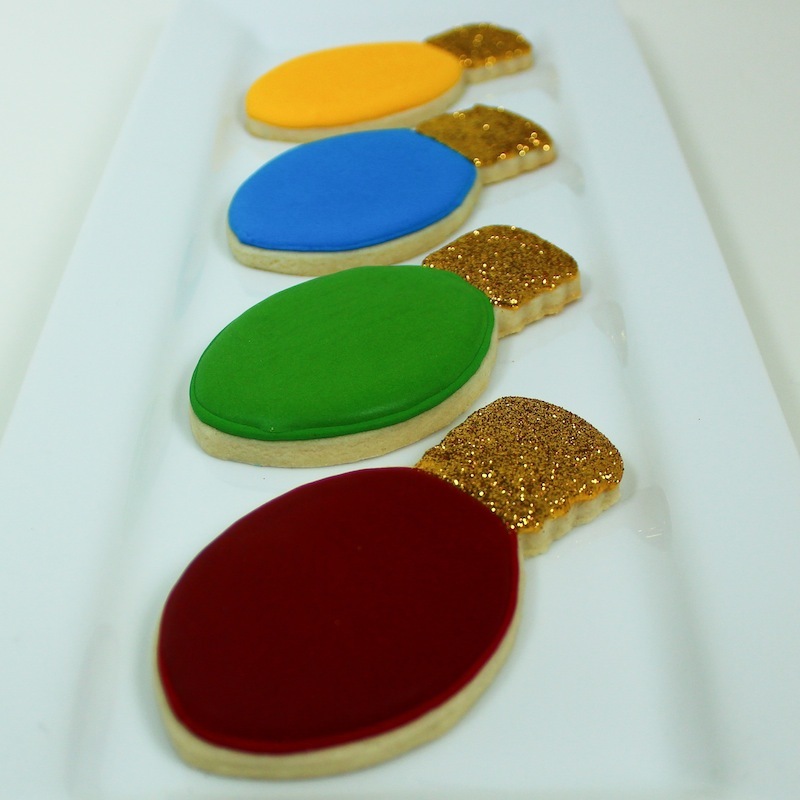 Your cookies are very good, love the sparkle! @Julie...you're too sweet. I think they are sold out everywhere. I tease my husband about the movie Jingle all the way and say we'll buy the last one and it will be in Japanese or something. @Paula....You're probably right. Poor Darling Loves Justin Bieber. Every day she says she's getting ready because he's coming to pick her up for a date to get pizza. She's a mess.